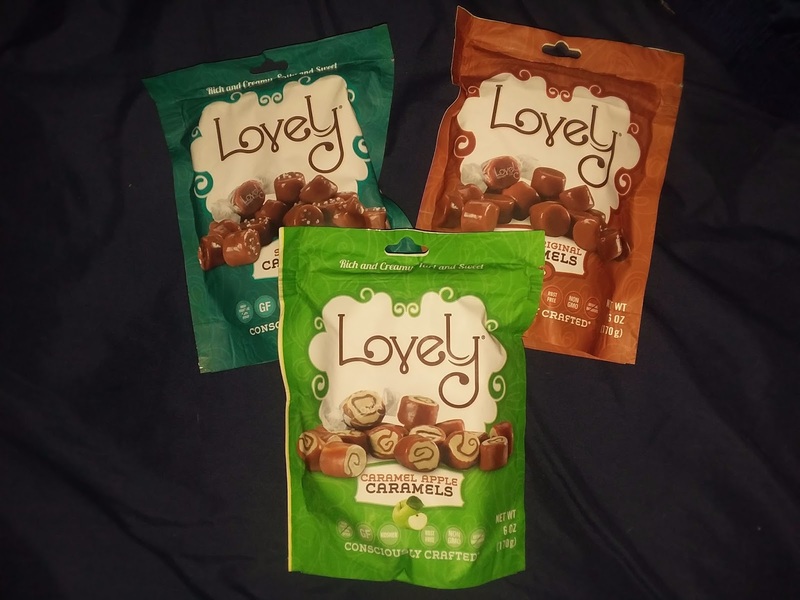 ThemeParkMama: Lovely Candies are just well Lovely! I am really bad about eating candy, although I have gotten better I seriously almost always had some sort of sweet in my purse or just on me. Because of eating so much candy and becoming older, my body is finally catching up to my eating habits so I need to find better options. Lovely Candy is a great start. Lovely Candies are non GMO and made with no high fructose corn syrup. I really am not picky when it comes to candy I enjoy most, which Lovely Candy comes in Caramels and in Fruit Chews. WOW let's start with the Lovely Candy Caramels. They come in many flavors, I normally stay away from caramels because they stick really hard to teeth, the Lovely Caramels are not to hard but not to tough that they just melt in the mouth! I had a hard time picking a favorite of the 3 flavors they sent which were Sea Salt Caramels, Original and Caramel Apple. I ended up eating all the bags myself, yeah I hid them from my kids :) sooo good LOL. Did you know that Lovely's Caramels are their #1 Seller! With Non GMO, no HFCS, no SOY. Rbst free milk. Kosher and GF certified – Made in the USA Resealable bags! Granted I think I ate at least one of the bags in one setting......again so good! Next was the Fruit Chews! Which I got to try the 2 bags. One was the Juicy Chews Tropical Mix which had the 3 flavors Mango, Passion Fruit and Pineapple. 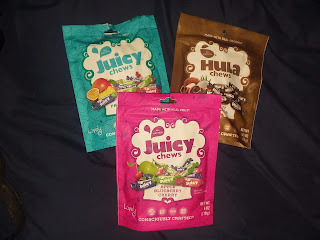 The other was the Juicy Chews Original which came with Apple, Blueberry and Cherry. I guess cause I live in FL they were a bit softer then should be so I had a hard time getting the paper off so after placing them in the fridge they hardened up enough to try them out. Well worth the wait! They are so good, kinda like a taffy but less sticky, again they really just melt in your mouth. These ones I did share with my kids, and they were like no wonder you hid from us LOL they really enjoyed. 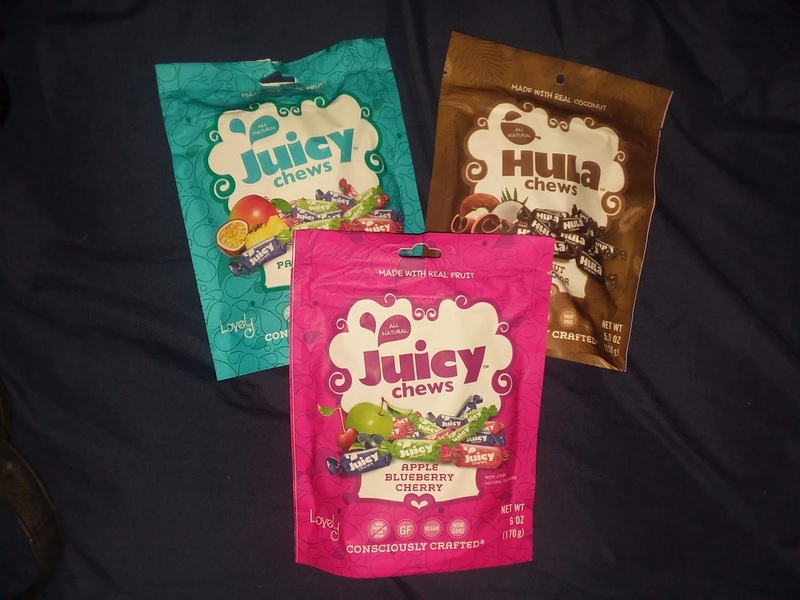 The Juicy Drop Chews from Lovely also come in resealable bags and are made with NO HFCS, Gluten FREE, Vegan and NON GMO. Also I got to try the Hulu Chews which are Dark cocoa chews with a coconut flavored center containing real coconut bits! Not sticky! These were good but me personally I am not a chocolate fan but my kids on the other hand, yeah they were gone fast.